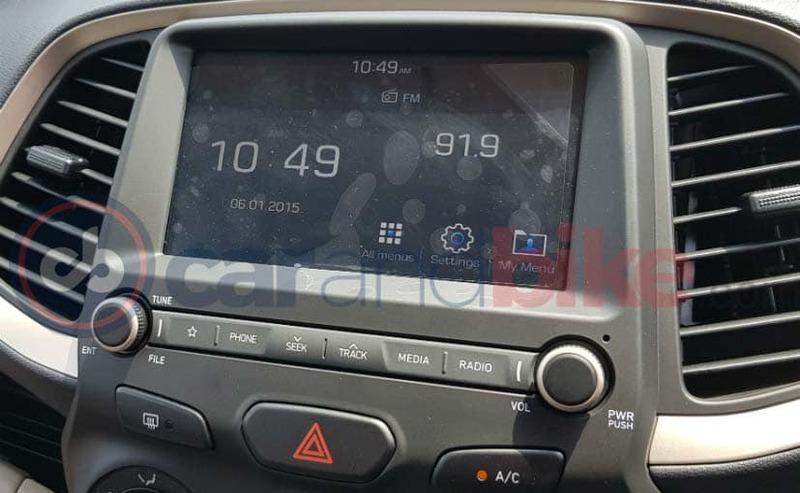 The 2019 Hyundai Santro’s interior has leaked in images published by carandbike. One of these images shows the shift lever of the company’s first AMT. 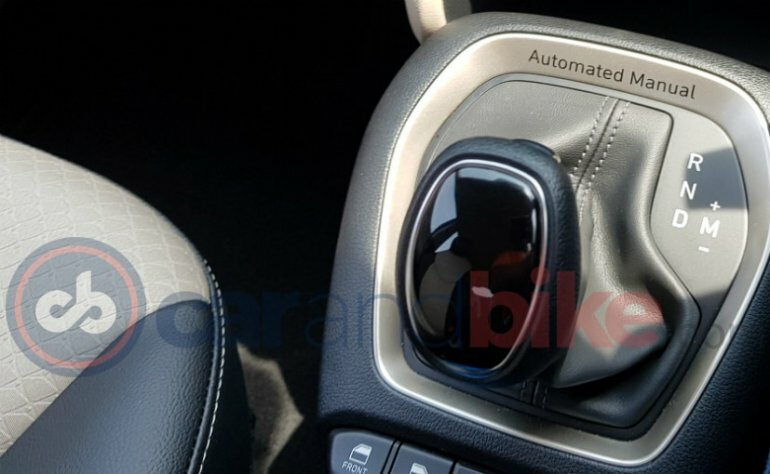 In addition to the shift lever, the interior spy shots of the 2019 Hyundai Santro show the instrument panel and centre console as well. The instrument panel comprises analogue speedometer and tachometer, and a small driver information display showing the fuel level, fuel economy, distance driven and the gear. The spy shots of the centre console show manual AC controls. An automatic climate control system will not come in the car, however a first-in-segment rear AC vent will. Housed between the vertical central AC vents is a 7-inch touchscreen infotainment system that offers Apple CarPlay and Android Auto support, along with voice recognition. The dual-tone beige-black colour scheme that is typical of Hyundai models in our market is also seen in the spy shots. The 2019 Hyundai Santro employs a 1.1-litre petrol engine that develops 69 PS and 99 Nm of torque. A CNG option is present, in which the same engine is tuned to produce 59 PS and 84 Nm of torque. 5-speed manual and 5-speed automated manual are the transmission choices. The petrol configurations deliver a fuel economy of 20.3 km/l. Hyundai will adhere to the more stringent safety norms applicable from 2019 early on and offer rear parking sensors, ABS (with EBD) and driver airbag as standard right from launch. Top-end variants will get dual front airbags. Hyundai will launch the all-new Santro in India on 23 October, 2019. Prices should start between INR 3.7-4 lakh (ex-showroom).